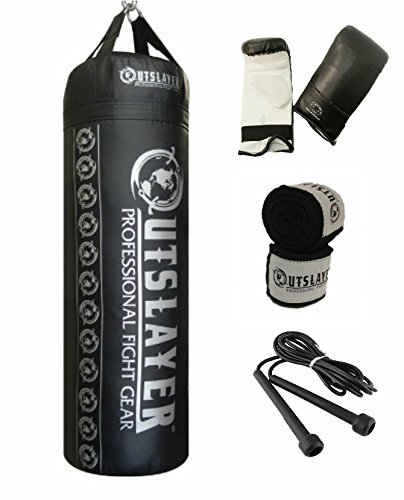 Outslayer Punching Bag kit includes, punching bag 80lbs UNFILLED, punching bag gloves, jump rope and a pair of hand wraps. Punching bag is designed for professional use. Made in USA. 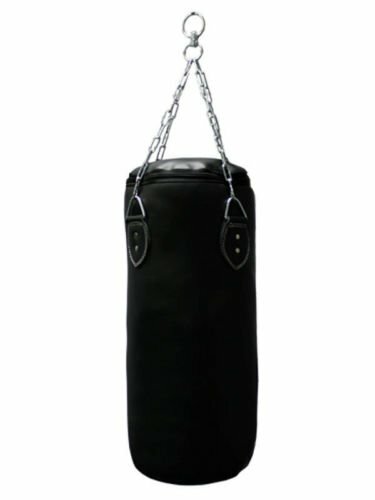 Punching Bag Ships Unfilled (without filling inside, to get one that is filled please checkout our other listings) . Includes a D-ring on the bottom to secure to the floor or sand bag, if desired. Comes with 10 year manufacturer warranty. Made out of top heavy duty vinyl that is also used for custom 300lbs punching bags. Easy to clean material. Heavy duty chrome covered D rings. 4 straps are attached to the punching bag, so you dont need additional chains around it. Height of the heavy bag is 44" plus additional 12" on the straps. Punching Bag Color: Black. * Color of the hand wraps may vary. Outslayer punching Bag includes a 10 Year Warranty Certificate, which Secures Your Heavy Bag Against ANY Damage with the only exclusion of damage caused by sharp objects and weather. If anything happens to your punching bag within 10 years, just send us a picture and we will send you a brand new heavy bag! Punching bag ships Unfilled. Height is 4ft (44 inches) tall and another 12 are the straps with D-rings. After you fill it the first time, it will weight about 80lbs. Due to the high material durability, you can add more weight to this heavy bag if desired, up to 300lbs in total. Outslayer punching bag is Made in the USA out of Top Quality American vinyl with weight capacity of 300lbs. Ships unfilled allowing the user to fill it to desired weight and density. Filling instructions are included. Designed with 4 layer maximum strength straps , so no additional chains required. RDX New addition to the range hand stitched extra wide Zero Impact G-Core twinned layer non tear Maya Hide Leather Technology Punch bag Lined with super dense shock absorbing 2" inner Polyethylene foam jacket to absorb the punches and help protect your hands (60cm diameter) (60cm Length) 6 panel design bag.The Round Wrecking Ball heavy bag is an ideal way to practice your punches, kicks, knee and elbow strikes. It is more versatile than your average uppercut bag because of the wide array of moves you can use on it. A bag great for low and high kicking and punching. Designed for greater mobility and strength. Double layered for durability with a shredded textile filling for extended use. Heavy gauge welded D rings which are double stitched and riveted to the bag for extra sturdiness. Additionally a heavy duty zip-fastened top closure ensures maximum fill potential. Can be made heavier by adding denser filling, Zip top design enables you to customise the further filling. its water proof bag can be used outside. Quality stitching and material made to last this is a serious bag for any club or gym or a home user demands the best! You have seen many similar products in the past, none of which offer this combined level of features. Bag comes with swivel hanging chains & Maya Hide Leather Boxing gloves. So it's ready the day you get it. RDX New addition to the range hand stitched extra wide Zero Impact G-Core twinned layer non tear Maya Hide Leather Technology UNFILLED Punch bag Lined with super dense shock absorbing 2" inner Polyethylene foam jacket to absorb the punches and help protect your hands (38cm diameter) (52cm Length) 6 panel design bag. There is a zip at the top of the bag which is used to change or add to the fillings, the bag is made as a pear shape and is ideal for upper cuts and specialist workouts. Same heavy bag training benefit as a traditional heavy bag the consistency of the feel as you hit the bag is far superior, covered with durable Maya Hide Leather and lined with Polyethylene foam jacket to gives the sensation of hitting a real opponent. A bag great for low and high kicking and punching. Designed for greater mobility and strength. Double layered for durability with a shredded textile filling for extended use. Heavy gauge welded D rings which are double stitched and riveted to the bag for extra sturdiness. Additionally a heavy duty zip-fastened top closure ensures maximum fill potential. Can be made heavier by adding denser filling, Zip top design enables you to customize the further filling. Its water proof bag can be used outside. Quality stitching and material made to last this is a serious bag for any club or gym or a home user demands the best! You have seen many similar products in the past, none of which offer this combined level of features. Bag comes with swivel hanging chains & Maya Hide Leather Boxing gloves. So it's ready the day you get it. RDX New addition to the range hand stitched extra wide Zero Impact G-Core twinned layer non tear Maya Hide Leather Technology Punch bag Lined with super dense shock absorbing 2" inner Polyethylene foam jacket to absorb the punches and help protect your hands (38cm diameter) (52cm Length) 6 panel design bag. There is a zip at the top of the bag which is used to change or add to the fillings, the bag is made as a pear shape and is ideal for upper cuts and specialist workouts. 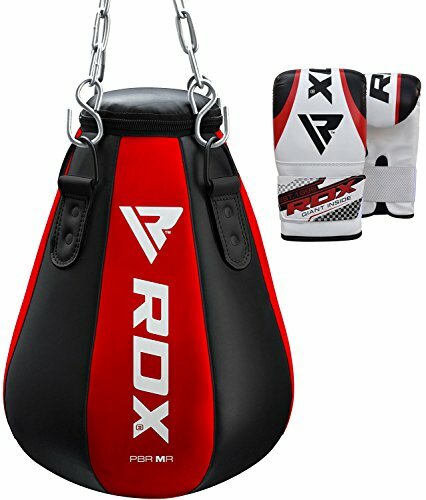 Same heavy bag training benefit as a traditional heavy bag the consistency of the feel as you hit the bag is far superior, covered with durable Maya Hide Leather and lined with Polyethylene foam jacket to gives the sensation of hitting a real opponent. A bag great for low and high kicking and punching. Designed for greater mobility and strength. Double layered for durability with a shredded textile filling for extended use. Heavy gauge welded D rings which are double stitched and riveted to the bag for extra sturdiness. Additionally a heavy duty zip-fastened top closure ensures maximum fill potential. Can be made heavier by adding denser filling, Zip top design enables you to customize the further filling. Its water proof bag can be used outside. Quality stitching and material made to last this is a serious bag for any club or gym or a home user demands the best! You have seen many similar products in the past, none of which offer this combined level of features. Bag comes with swivel hanging chains & Maya Hide Leather Gel gloves. So it's ready the day you get it. All leather maize balls. Reinforced loop and welted seams. Just fill with sand. Protect your equipment with this unique lock mechanism. 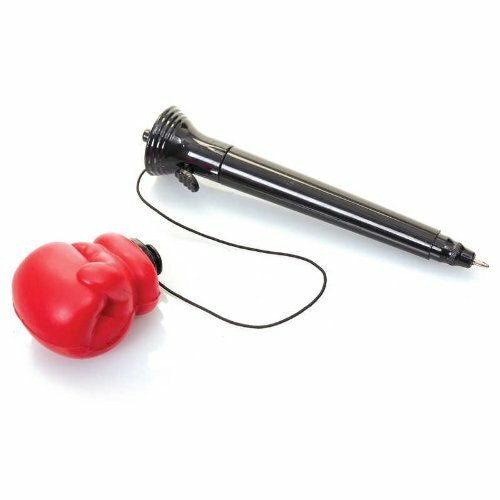 Punch Pen - Punching Boxing Glove on a Pen For your colleague with the short temper. This pen packs a punch. Great office gift. For your colleague with the short temper. This pen packs a punch. Supplied empty or full. 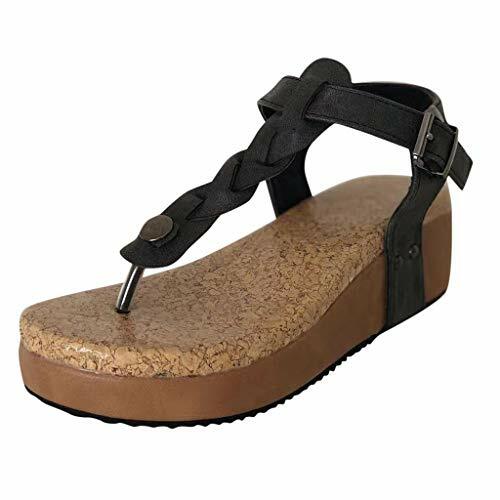 Strong polyurethane cover, interior cotton bonded, fastened with eyelets and lacing. Attaches by chains, ring and mount. Filling even with scraps of fabrics. The quality of filling guarantees the protection of your hands as well as the quality of your workout. Punchbags are great for the ordinary person looking for an interesting and varied way of keeping fit as well as the serious trainer or boxer. 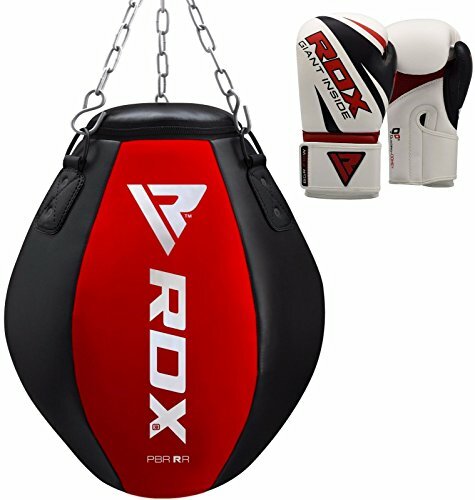 At TurnerMAX we have a large range of leather, PU, Rexion and freestanding punchbags. We have heavy and extra heavy punching bags and a large variety of punchbags such as angle bags, body bags, maize bags, 3-in-1 punchbags, kickboxing bags, boxing bags and wall bags. Punchbags are an alternative target practise to using focus pads and thai pads and can be used in groups, pairs or on your own. If you are a beginners or an advanced fighter, punchbags are an excellent way to stay fit. 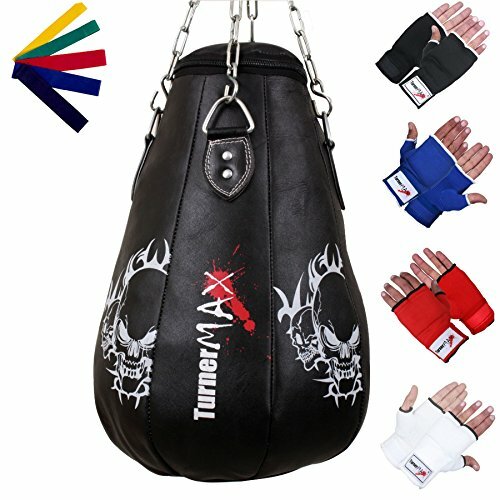 Just a session a day will not only increase your speed, stamina and technique but will help you loose weight, look great and improve confidence.This is a high quality maize punch bag which is hand stitched and made from the finest genuine thick cowhide leather. There is a cloth lining inside which gives the leather maize bag extra strength and life. The leather maize bag is made as a pear shape and is ideal for upper cuts, punches, hook and jabs etc as well as specialist workouts with a trainer or on your own. It comes filled with a textile filling and ready to use. The maize bag is approximately 2ft from top to bottom making it easy to hang and requiring little space. 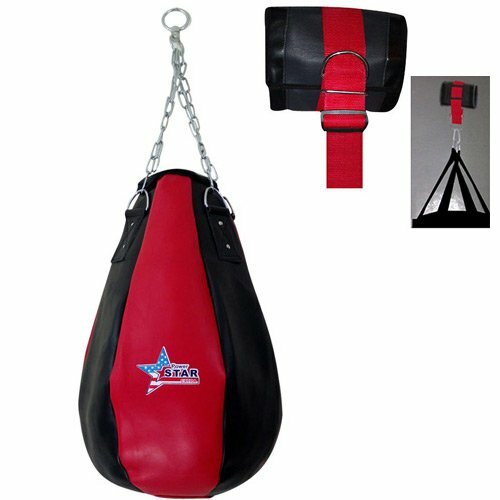 As well as the leather maize punchbag you will receive a free heavy duty punch bag chain which features a swivel top design to reduce the strain on your hook or bracket. The swivel chain allows the maize bag to swing freely when it is punched etc. You also get a free/complimentary pair of inner mitts which are recommended when using any punch bag. 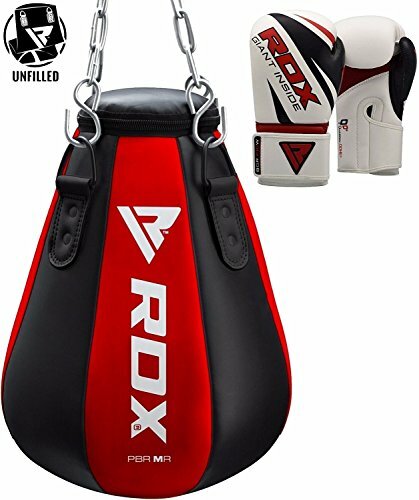 As with all punchbags this maize bag is a great piece of equipment for anyone training in boxing, kick boxing, MMA, Karate or other martial arts. Features 3 layers of sturdy covering with a excellent and durable vinyl contact area. 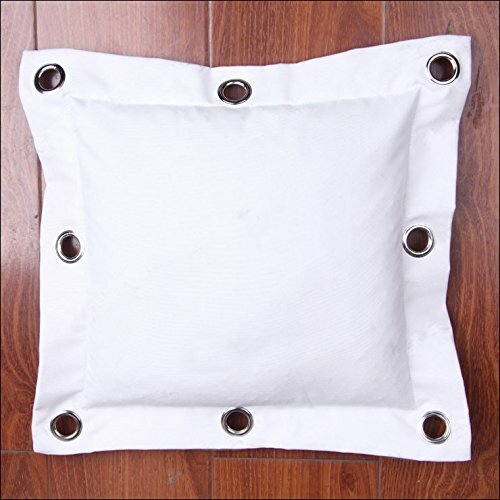 Heavy duty cotton fabric lining on outside and strong nylon lining on the inside gives added durability. Bag Width (flat) : 17"
Leather Maize Bag Made from high quality leather Zip top design enables you to customize the filling further Can be filled with maize or sand as required Made from finest selected cowhide leather FREE high quality chain with swivel for hanging included Guaranteed quality and Very Fast Delivery Heavy Duty Hanger No need extra fitting Available in black and red color No Tools Needed, easy to set up and use. Metal Supports Sewn into wrap for maximum strength. HANG IT ANYWHERE Wrap forms to most supports. Frelaxy Reflex Boxing Ball can help train your reaction, agility, punching speed, fight skill and hand eye coordination while providing an interesting workout. Suitable for all ages, for those who love boxing or simply want to add more workout and fun to daily life. Burn Your Calorie and Get Fit While Having Fun! Perfect Gift - Suitable for all ages, for those who love boxing or simply want to add more workout and fun to daily life. 1. Choose the ball you want for the training, new learners better start with the black ball. 2. Adjust the elastic string to be the same length as your arm. 3. Attach the string hooks onto the headband and adjust the headband to fit your head. Note: New learner better starts with the black ball for Novice with slow punching. TWO DIFFICULTY LEVEL BALL TAKE YOU FROM BEGINNER TO MASTER - Lightweight PU black ball (20g) for the novices, safe and easy to get the hang of it. Quality rubber Red ball (85g) for the veterans, Proper weight to give you a nice feeling of combat, more challenging exercise to achieve better training results. FUN WAY TO GET FIT - It will burn out your arms, chest, shoulders and upper back while training, perfect for calorie burning and conditioning! 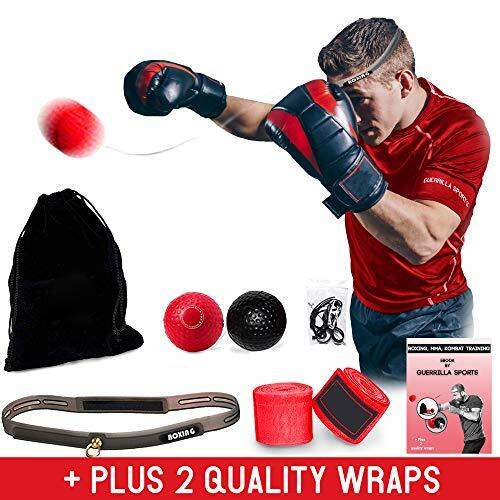 Portable Storage Pouch Included - TRAIN ANYWHERE, ANYTIME, Just tie your headband and burn your body in 15-20 minutes, the reflex ball makes training and fitness easy! Perfect for work breaks or school breaks, have fun or release stress. 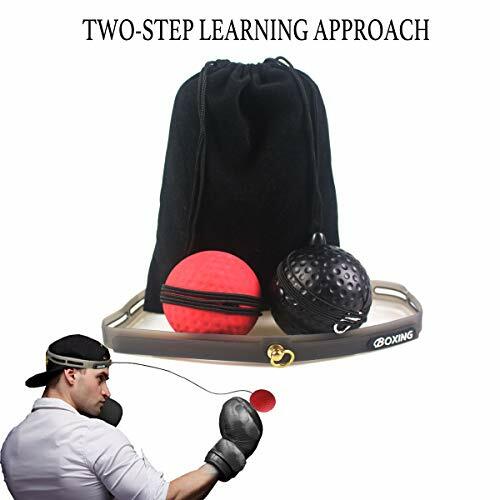 2 DIFFERENT TRAINING MODES: Two difficulty levels specific for each punching ball. Upgraded Headband with stainless steel rings and metal stopper, strong Velcro, absorb moisture, no skin irritation. LIGHT-WEIGHT, SAFE BALLS: Each boxing ball for training is much softer than the usual tennis ball. The unpredictability of the rebounding balls are perfect for calorie burning and conditioning! PREMIUM QUALITY MATERIALS boxing balls: 100% natural rubber for red ball. Lightweight and portable perfect for practice anywhere anytime. High motivation to workout home, gym, school break, park, beach. GREAT SPORT FITNESS GIFT: This Boxing Speed Balls are a good choice for increasing kids eye hand coordination, reflexes, agility with fun Best way to improve fighting skills or release the stress.